PAUL JAY: Welcome to Reality Asserts Itself on The Real News Network. And I’m Paul Jay. People that follow this show know I particularly like to interview people that stick their neck out and stick to their guns for what they believe in, what they’re fighting for. And our next guest is someone who’s done both of those things under a lot of pressure. So this is the story, to begin with, of Stephen Cohen. Stephen is emeritus professor of politics at Princeton University, professor emeritus of Russian studies and history at New York University, and his most recent book: War with Russia? From Putin and Ukraine to Trump and Russia. Thanks for joining us again. PAUL JAY: So a lot of people were rather happy with Barr’s summary of the Mueller report. And as we sit here talking today we haven’t seen the Mueller report, it hasn’t been given to Congress yet, and it may even happen tomorrow. We don’t know. And it may change what we think of what I’m about to ask, but I don’t think it’s going to change too much about what I’m going to ask. Obviously President Trump’s pretty happy so far with the no collusion argument. And that was pretty clear from what Mueller said; what Barr says Mueller said. There’s a quote from Mueller in Barr’s summary. But I thought some people who’ve been critical of Russiagate were a little bit too happy about this, because the more important, I thought, substance of what Mueller says is that, in fact, Russia did interfere in the elections. And he takes it very seriously. And the more important part of Russiagate narrative, I don’t think, was ever the collusion part. In fact, we all knew Mueller was not heading down any big collusion road anyway, because as you pointed out in one of your interviews, I don’t know if it was Larry King, you know, you could see from how other people were being charged, Manafort and others, there was no breadcrumb leading you to a collusion argument with Trump. The real problem is the underlying idea is that this is an existential threat to American democracy, and Mueller more or less confirms that. And I thought people shouldn’t be so happy about that part of it, because the substantial argument–and I’ll quote you again–is that whatever they did it was low-level stuff. It happens all the time between these countries. They all interfere in each other’s elections. And then it gets raised to the existential level. That’s the problem. And Mueller more or less confirms that. 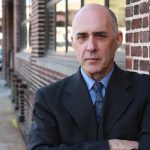 PAUL JAY: The story that got completely lost as they focused on low-level meddling that was mostly–that I think anyone can determine rather ineffective–was the Cambridge Analytica story, and Bannon, and the use of troll farms, American-controlled troll farms, to do this targeted social media manipulation. And that’s out there, including an arm of Cambridge Analytica which helped shape the Brexit vote in the United Kingdom. And the role of Robert Mercer, who funded Bannon and Kellyanne Conway and originally backed Cruz, and then helped create Trump as president, I mean, that’s the real story of the Trump presidency. Not this low-level meddling. And they’ve never really told that story in mainstream media. We did a whole documentary on it on The Real News. This whole thing’s been lost about the real kind of sinister dark side to the 2016 elections. STEPHEN COHEN: What worries me more, though, is the way Russiagate, Russiagaters, the zealots of Russiagate, have criminalized contacts with Russia. I think that this Clinton organization–what’s it called, Center for American Progress, or something, CAP, which has a website called Thought Progress or something–has some posted 150 Trump-related contacts with Russia. I mean, I’ve had most of those contacts with Russia. I mean, I’ve had contacts with Russian intelligence agents. One was a good friend of mine. Five or six of them I worked with in a historical archive, and we did smoking breaks and lunch breaks together, and we talked. I mean, I’ve had all sorts of contacts in my nearly 50 years of dealing with Russia. There was a time when contacts were supposed to be good because it was a way of understanding and avoiding conflict. Part of detente. Part of diplomacy. But Russiagate, the allegations–and I don’t believe any of them, by the way–the allegations have criminalized contacts. Let’s talk about Flynn, for example, to see how bogus this is. Flynn was taped, as he knew he would be, making contact after Trump was elected, before Trump came President, with the Russian ambassador, correct? That was how the story began. PAUL JAY: And they had to know they were being listened to. STEPHEN COHEN: Of course they [inaudible]. PAUL JAY: Or he should have. STEPHEN COHEN: Well, so you would say if he knew he was being listened to, why would he go forward and have this meeting, or discussions, with the Russian ambassador? Because Trump had told him to do it. And the reason is very simple to anyone who knows even a little history. At least since Nixon–maybe since Eisenhower and Kennedy–but at least since Nixon, every American president-elect has made a so-called back channel connection with the Russians, with the Kremlin, before taking office. End of story. And we know–I mean, Kissinger did it for Nixon. PAUL JAY: But Nixon did it with the North Vietnamese, and Johnson called it treason. STEPHEN COHEN: I don’t care. The point of it is it’s become traditional standard practice for the president-elect to reach out to the Russians to say basically chill out, we’re going to discuss everything. I mean, you got to remember what happened. I mean, this was dangerous. Obama, to his eternal disgrace, threatened the Russians with a cyberattack. He threatened them. He said we’ve implanted in your infrastructure some kind of cyber thing. PAUL JAY: And passed sanctions. STEPHEN COHEN: But forget the sanctions. Forget the sanctions. He threatened them with a secret attack on their infrastructure. Did it mean their medical system? Did it mean their banking system? Did it mean their nuclear control system? And then the nitwit Vice President–Obama’s–goes out and tells jokes about it on late night TV. Yeah, hey, we got him. What kind of behavior is this? So I think Trump did absolutely the right thing. He told General Flynn, after Obama had made this reckless statement, but after Trump was elected, but not yet president, told Flynn, go tell the Russians not to overreact to what Obama said. Don’t do anything crazy. We’ll sort this out when I take office. I personally am grateful he did that, because there were people in Moscow arguing to Putin that they had to wage some kind of counterattack first. I mean, this was a very dangerous moment that Obama created, unnoticed in this country. Unreported on. But not only was it the tradition that the president-elect made contact with the Russians. Backdoor. Everyone had done it. But in this case it was essential, because the crazies in Moscow were urging Putin to do something based on what Obama had said. By the way, who’s vanished. On the question of Russiagate, Obama has disappeared himself. I mean Russiagate began on Obama’s watch as president. You’d think he’d have something to say. He hadn’t said a word. PAUL JAY: But let me counter. I mean, I think the sanctions Obama put on Russia for Russia’s meddling in the U.S. elections was uncalled for; aggressive, and so on. And a continuation of a bunch of aggressive policy. But their argument is Obama was the president, and the sanctions had been implemented. And Trump was saying to Putin, don’t worry, we’re going to get rid of them. PAUL JAY: I thought that was Flynn’s conversation. STEPHEN COHEN: No. No. What Flynn told Kislyak, so far as we know, I haven’t heard the tape, was do not overreact to this statement by Obama that your infrastructure is going to be attacked, and we will discuss everything, maybe he said including sanctions, when Trump takes the White House. Now, let’s back up a minute. Why shouldn’t we discuss sanctions? The logic–I don’t believe in sanctions. They’re road rage. I mean, as we talk, a few nitwit senators are up on the Hill trying to think up some new sanctions. And if you ask them what they’re sanctioning Russia for today, they couldn’t tell you. Everything. In fact, they do tell you. It’s called for Putin’s malign behavior in the world. It’s not about Crimea anymore. It’s not about voter interference. It’s just basically he’s a malign character, and you can’t have too many sanctions. Sanctions are road rage. When you don’t have a real policy, you do sanctions. But what’s the logic of the sanctions? The sanction is we put this punishment on you. But when you change your behavior we will remove the punishment. Isn’t that what we say with sanctions? Therefore sanctions have to be discussed if you’re going to have diplomacy. So I would expect an American president to say to the Kremlin we need to have a lot of discussions, including the discussion of sanctions. The ones we’ve imposed. Actually, by now, depending on what comes next, I don’t think the Kremlin cares very much. They’ve coped very nicely with the sanctions. Though it’s hurting their ability to roll over their loans with Western banks, it’s true. But generally speaking, they’ve managed. And Europe wants the sanctions ended, because it’s hurt European manufacturers, I think there’s 9,000 German firms that were or are making a profit in Russia. It’s hurt European–we have almost no trade with Russia, the United States. Sanctions is–hurting Europe. PAUL JAY: Well, let’s get back to Flynn. How could he not know that’s being listened to? And I guess they assume that this was not abnormal for an incoming president to have a conversation like this. STEPHEN COHEN: Flynn was a professional intelligence officer. Let’s repeat that. A professional intelligence officer. He knew everybody was listened to. It didn’t bother him. The president had told him to have conversations with the Russian ambassador. There was a tradition of doing this. He had nothing to hide. STEPHEN COHEN: I don’t even know you were disagreeing with me. Those are just facts I gave you. PAUL JAY: I didn’t disagree up until this point. We might agree on something and then disagree in the next segment. 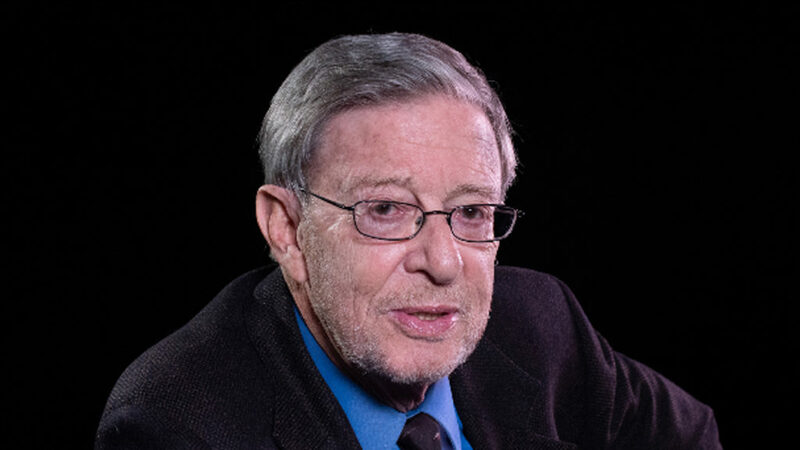 So please join us for the next segment of our series of interviews with Stephen Cohen. Stephen F. Cohen is professor emeritus of Russian studies, history, and politics at New York University and Princeton University. A Nation contributing editor, his most recent book is War With Russia? From Putin & Ukraine to Trump & Russiagate.